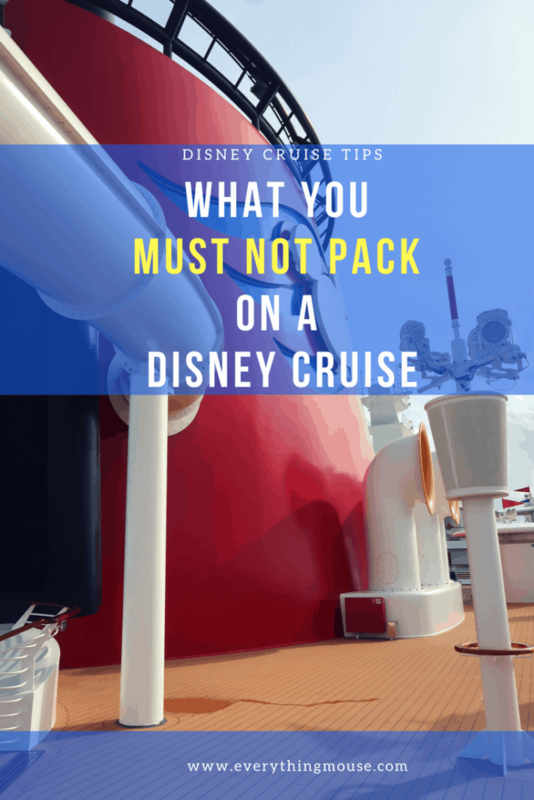 There is so much advice about what to pack on a Disney cruise that you may have missed the fact that some items are prohibited. You really need to make sure that you are aware that there are certain items you can’t take on a Disney cruise. Disney cruise lines have a long list of prohibited items. Some items could even make you subject to a hefty fine. Even if the item isn’t on the prohibited list, some things just going to fill up your suitcase and aren’t needed. 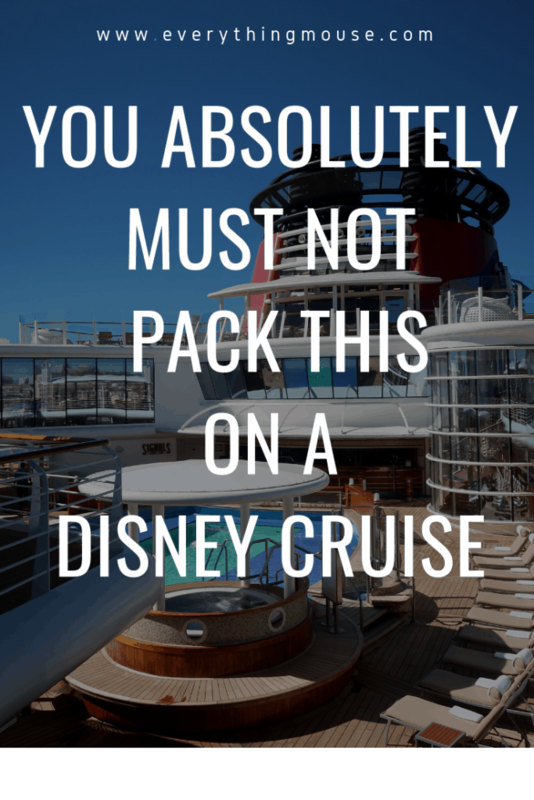 Here is our guide about what not to pack on a Disney cruise. This one causes some confusion, but you really have to get it right or you could find yourself regretting it! There are many articles out there telling you to bring an Over the Door Hanging Organizer on to your Disney Cruise. However, this is old advice. Due to the hooks on the organizer’s damaging doors and walls on the ship Disney Cruise banned over the door hanging organizers. Think you can take a chance on this and bring one anyway? Just don’t. 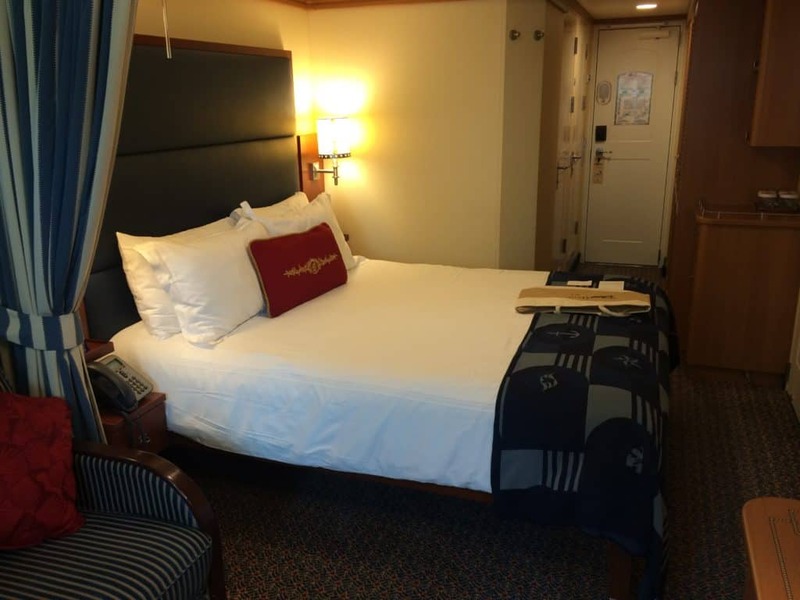 If you are in violation of this rule and damage is done to your Disney cruise stateroom you will find a charge of $100 per incident on your account. Really not worth it. There is a lot of storage space in your Disney cruise stateroom bathroom. There are so many shelves in there we really don’t think that you need an over the door organizer for the bathroom. are one of the best things you can buy to make packing and travel so much easier. Why are packing cubes so great? Firstly they help you organize your packing at home so much more easily. You can separate out your packing at the start to help you think about what you have. This also means that when you arrive in your stateroom you are going to know where things are in your suitcase. Who wants to dig around to the bottom of the suitcase trying to find socks for your toddler? Or having to unpack everything before you find your swim stuff. No one. help save you a lot of wasted time. When your luggage arrives in your Disney cruise stateroom the unpacking process becomes so much easier if you have Packing Cubes. You just take them out of your suitcase and throw them straight into a drawer. Easy. This is another one that you will find on a lot of Disney cruise packing lists. However, extension cords and surge protectors are prohibited items on Disney cruises. 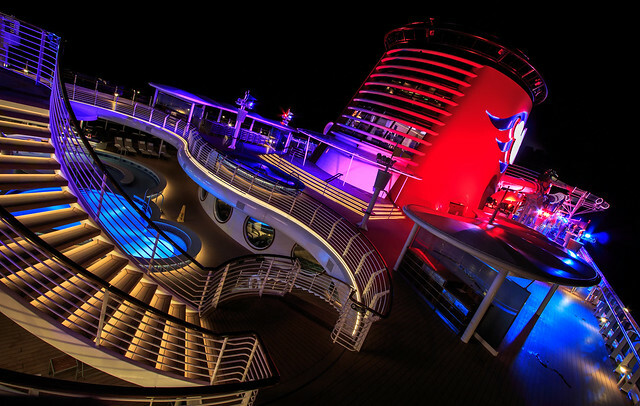 The problem is that there aren’t that many outlets on all the Disney cruise ships, even after all the dry dock improvements. 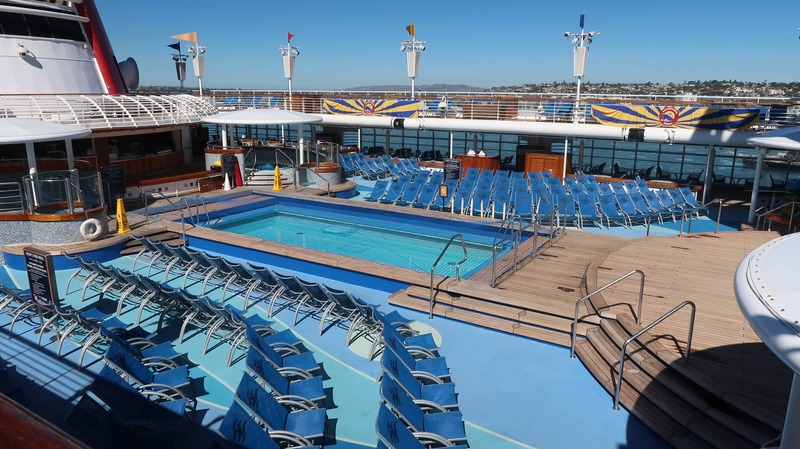 We are sure that the new Disney cruise ships will have more electrical outlets than you can ever use, but the design of the existing ship means that you can have a problem as there aren’t enough outlets. With more and more phone and tablet devices, you can find yourself fighting over the outlets with your family members! The solution? Really the things that you are going to want to plug-in to charge are phones and tablets. So the problem can be solved with a good multi-port plug-in charger. We have this Charging Station. It is great because you can charge up to 4 devices at a time just using one wall socket. Disney cruise lines are always concerned with safety on board. This is why they ban electrical appliances including “rice cookers, hot plates, coffee makers, blenders, electric irons, electric blankets, heating pads, bottle sterilizers and warmers”. I have to confess I have never been tempted to take a rice cooker on board! However, the one that most people get confused about is if it is OK to take an iron on a Disney cruise. It isn’t. However, if you really need to iron don’t worry. There are irons in every laundry room on board. They are chained to the wall so you don’t run away with them!
. This is a travel size spray which you can easily pack in your cruise luggage. Also, packing clothing items by rolling them up helps prevent those wrinkles in the first place. You can’t cope without a great cup of coffee every day so you are tempted to bring your coffee maker? This is on the list of prohibited items, so just don’t do it. The coffee from the pool deck is tolerable and in the rotational dining restaurants, it is actually pretty good. 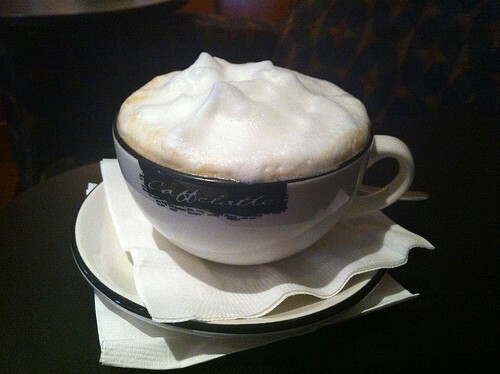 If you want a specialty coffee the Cove Cafe is the place to go, but there is an extra charge. if you like freshly ground beans. 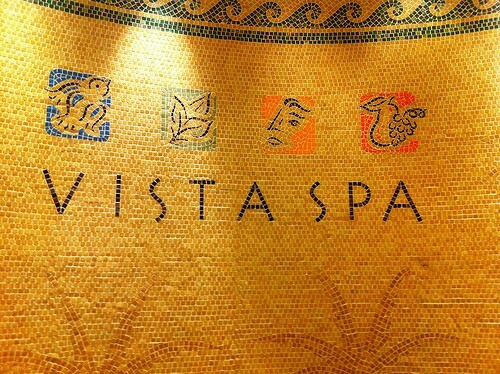 It is easy to get boiling water from the pool deck and you can have your very favorite roast. Disney has a good selection of tea bags available too if tea is your tipple. If you have a baby on board you can’t bring your own bottle sterilizers and warmers. However, there are always limited quantities of these baby friendly items available from Guest Services. You can borrow them for free, subject to availability. “Kites, balloons, surfboards, wave boards, inflatable floats, pool noodles, inflatable pools and wagons”. Not sure why you would want a kite on board a Disney cruise but I guess that someone has tried it before. You might be surprised that you are not allowed to bring your own balloons on board a Disney cruise. I am not sure of the logic behind this, but I guess it could be the latex allergy issue which may harm other passengers. Or too many people started to bring helium-filled balloons on board. However, if you really want to have balloons in your stateroom you can order them as part of a celebration package. Disney provides approved flotation devices on board the ship and on Castaway Cay. You are not allowed to bring any other flotation device or toy such as a pool noodle. 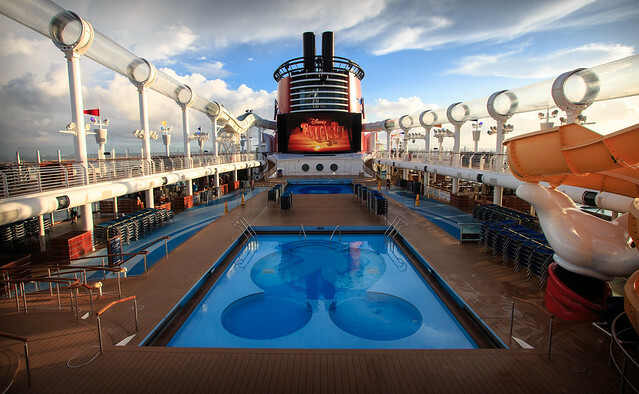 Really, because of the size of the pools on the Disney ships if you added inflatable pool toys it would be a nightmare. 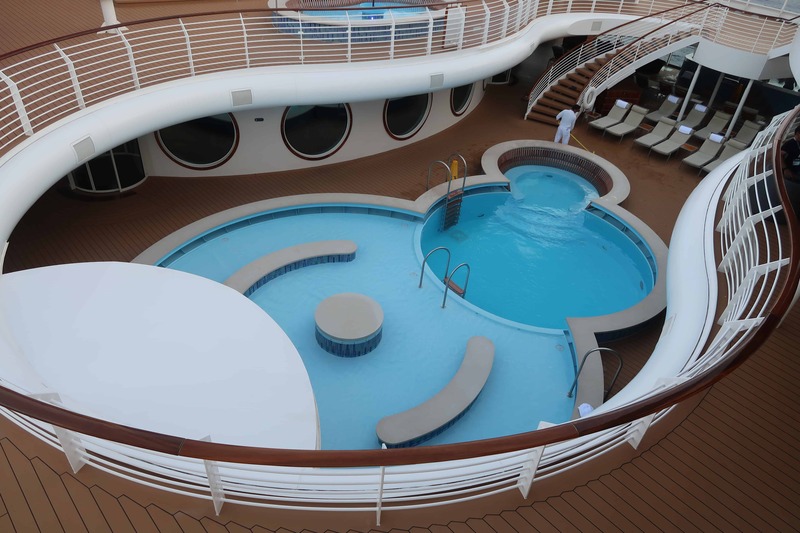 The pools on the Disney ships are small in relation to the number of people who want to be in them. An inflatable Mickey Mouse just isn’t going to help. I have to admit that it is great that wagons are banned on a Disney cruise. I have noticed that people in the Disney theme parks have abandoned the simple stroller and are now bringing huge wagons into the parks. Please Disney ban wagons in your parks too …. Update: Disney parks have now banned these wagons too! We have heard of some people bringing small inflatable travel bathtubs for babies on board. This can help if you have a young baby and they are too small for the bath. Technically this comes under the rule about not bringing inflatables, but Disney seems to turn a blind eye to this.
. As this is going nowhere near the pool it is probably fine. Thankfully Disney prohibits “Firearms, ammunition, knives (including dive knives), swords, daggers and any other types of weapons”. This one is obvious, but where you may get confused is that Disney also does not let you bring “Toy guns or other replicas of firearms and weapons” on board either. So that sword that you bought your five-year old for Pirate Night is going to have to stay in the port. Yes, it really has happened that plastic swords have been confiscated. A rule is a rule. Are you permitted to bring a Swiss Army type knife on board? Disney cruises bans all knives so just leave it at home. Some people bring that for the corkscrew feature. 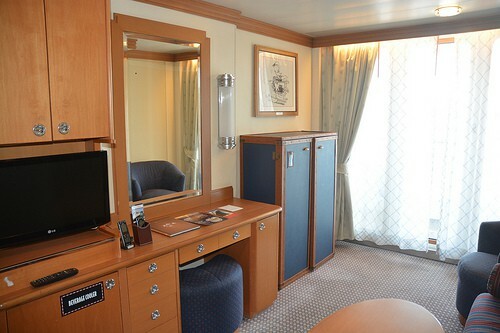 However, just ask your Room Steward if you need one and he will bring it to your stateroom. There isn’t any need to bring towels on board a Disney cruise. You can have as many as you want and someone will even launder them for you! 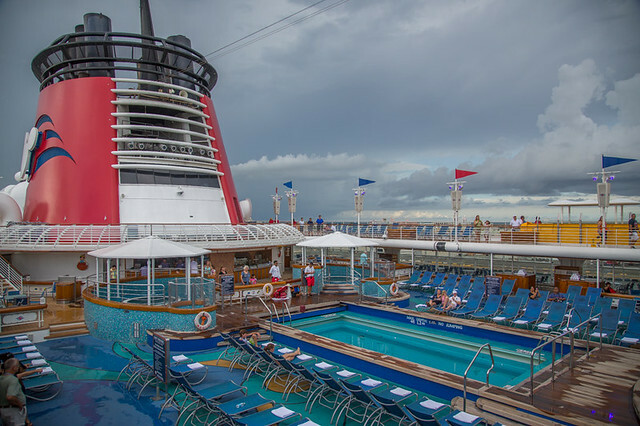 It is a common question about whether you need pool towels on a Disney cruise. The easy answer is that you really don’t. 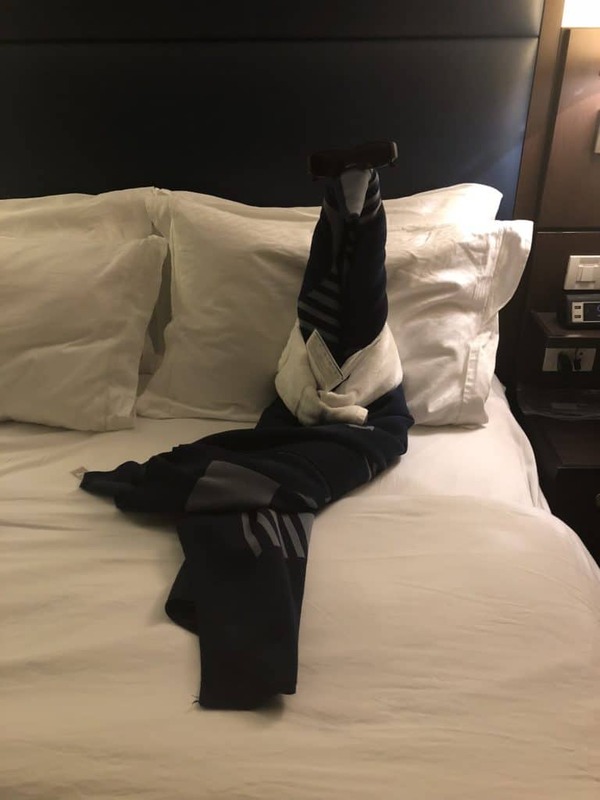 There are plenty of towels in your stateroom and if you need more than just ask your Cabin Steward. Pool towels are always available on a Disney cruise on Castaway Cay. 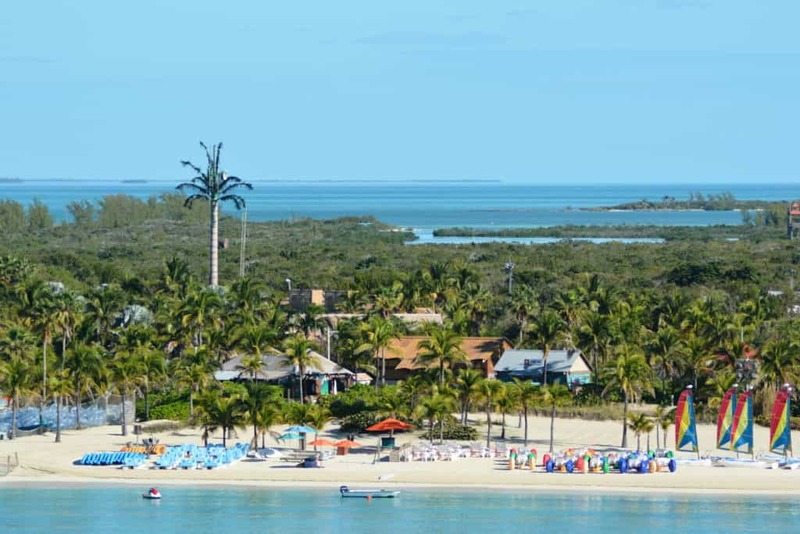 As soon as you get of the ship at Disney’s Castaway Cay you will see a huge supply of towels. Take what you need and return them at the end of the day. If you are lucky enough to get a Castaway Cay Cabana towels are provided for you in the cabana. These are a really nice quality. If you need more just ask your Cabana Concierge. It seems like a pretty obvious point that illegal drugs are prohibited on a Disney cruise. However, a question that is coming up more recently is are you allowed to take marijuana on board a Disney cruise? The answer is a very definite no. Disney has a very clear just say no policy about marijuana whether or not it has been obtained legally or is medically prescribed. Hookah pipes are also banned so don’t put one of those in your luggage either! 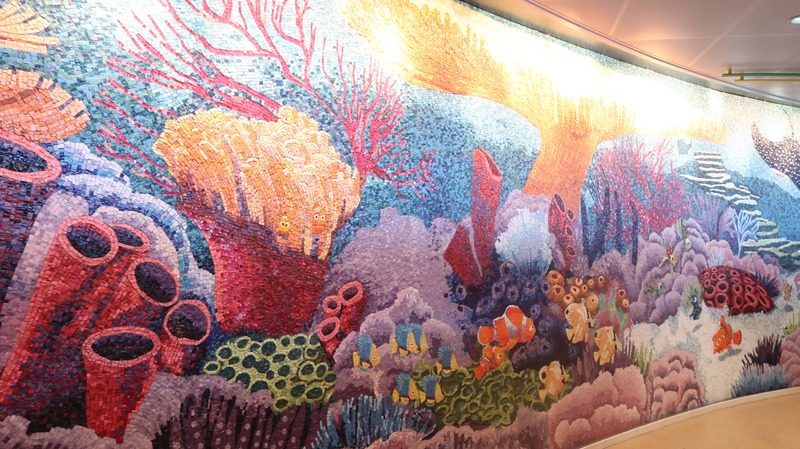 It is fine to bring prescription medication with you on a Disney cruise. However, it is always a good idea to bring a copy of any prescription with you. That way Disney knows what it is and you will also be able to replace the prescription more easily if you need to for some reason. This can save you a lot of space in your luggage. You do not need to pack shampoo, conditioner, soap or body lotion. All are supplied in your Disney cruise stateroom. I know some people want to bring their own favorite brand and this is fine. However, I am really particular about hair products and absolutely love the ones you get for free on board a Disney cruise. Another tip to find great shampoo, conditioner and body wash on a Disney cruise is to go to the changing rooms in the Senses Spa. You do not need to book a treatment at the spa to use the facilities in the changing room which include a sauna and some great showers. Sometimes if you have people fighting over the shower in the morning it is just easier for an adult to go to the Senses Spa showers. You get the considerable perk of free Elemis products there. 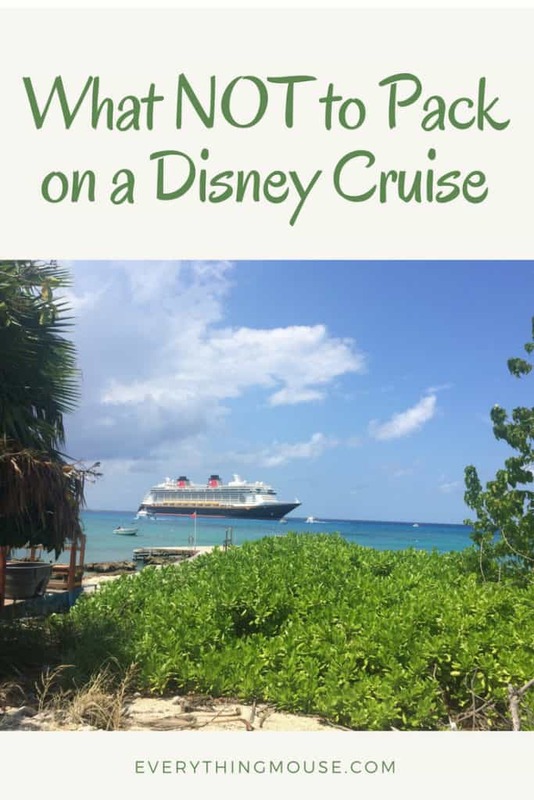 There is plenty to do on a Disney cruise so you won’t suffer too much knowing that certain items are banned and you have to leave the toys at home. Don’t worry, we are not talking about that adorable Captain Mickey plush that you have. It is only certain toys which are prohibited on board a Disney cruise ship. “Bicycles, scooters, skateboards, hoverboards, inline & roller skates, any footwear with wheels (i.e. Heely’s type shoes) and Segways, or other wheeled mobility devices with less than 3 wheels and devices that cannot maintain stability and balance when stopped, unpowered or unoccupied. Training wheels or similar modifications are not permitted”. It would be pretty difficult to sneak a Segway on board a Disney cruise. However, if you really want to try one you should look at the Disney cruise activities in some ports which offer a Segway tour! I can’t imagine why someone would want to take their roller skates on board, but don’t be tempted by footwear with shoes. This is prohibited. You are of course able to take your own mobility scooter on board a Disney cruise. Most areas of the ship are easily accessible. However, you must always store your mobility scooter inside your stateroom. 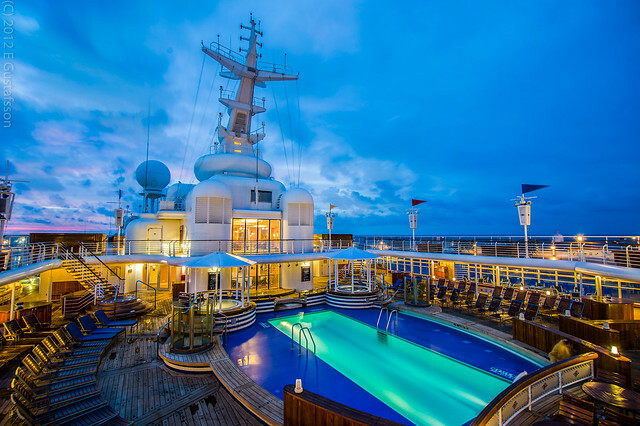 You are not allowed to obstruct the walk ways and in particular the corridors outside the staterooms. You also need to leave your gaming systems such as Playstation®, Xbox and Nintendo Wii at home. You really don’t need them anyway as there is plenty to do on board. You won’t need your “DVD, VCR, and Blu-ray players”. Not sure who still has a VCR, but they are banned on a Disney cruise anyway! “Coolers no larger than 12″ x 12″ x 12″ [30.5cm x 30.5cm x 30.5cm], as carry-on luggage only for storing medications, baby food or items related to dietary restrictions only”. So there are two elements here. Firstly the cooler can never exceed the prescribed size. Secondly it can only be used to carry those items. I know guests sometimes want to bring water and alcohol on board a Disney cruise and carry them in a cooler. You can’t do that. Both are fine in your hand luggage – provided you stick to the rules about bringing alcohol on board a Disney cruise. which meets the size requirements and is highly rated. You are also welcome to bring breast milk provided it is packed in your carry on luggage. “Homemade, precooked or perishable foods or open food containers”. 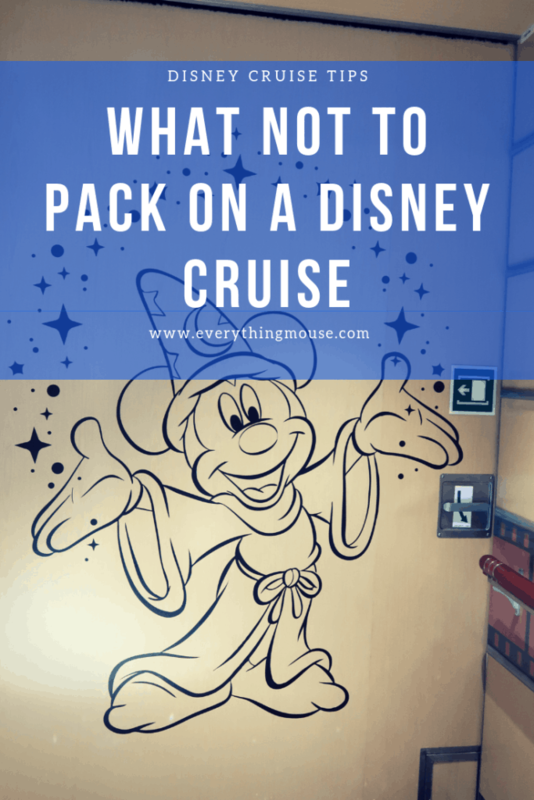 Disney cruise line is excellent at accommodating dietary requirements, so you really shouldn’t need to bring much on board with you, except in very limited circumstances. 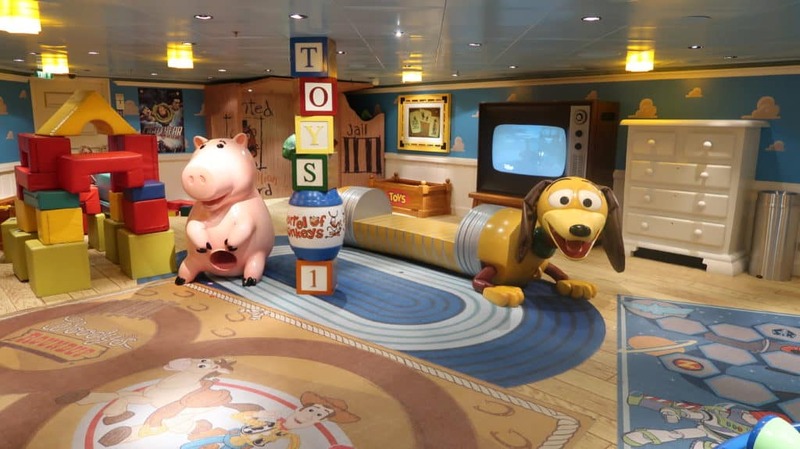 Of course, you will miss your pets whilst you are sailing on a Disney cruise. However, don’t think about smuggling Fido on board. He isn’t allowed. The only pets allowed are service dogs. I have seen a couple of service dogs on board a Disney cruise. Wonder where the dog bathroom is? Service dogs get their very own patch of grass to put out on your balcony, and there is a specific spot, usually on the promenade deck. Guests who need more information about bringing service dogs on a Disney cruise should consult with their Disney Travel Agent or call (407) 566-3602. It can take a number of months to get the necessary permits together for the dog to be able to leave the ship with you in port. Always check before you book a cruise if you know you will be needing to bring your service dog. “Potentially dangerous sporting equipment, including baseball and cricket bats, hockey and lacrosse sticks, pool cues, ski poles, fishing gear and archery equipment”. You can take golf equipment on board a Disney cruise just so long as you keep it stored in your stateroom. You can’t bring “Scuba equipment such as tanks, spears, spear guns, slings, dive knives, pry bars, and underwater scooters”. I do wonder if anyone has actually tried to bring an underwater scooter on to Disney cruise. with you. 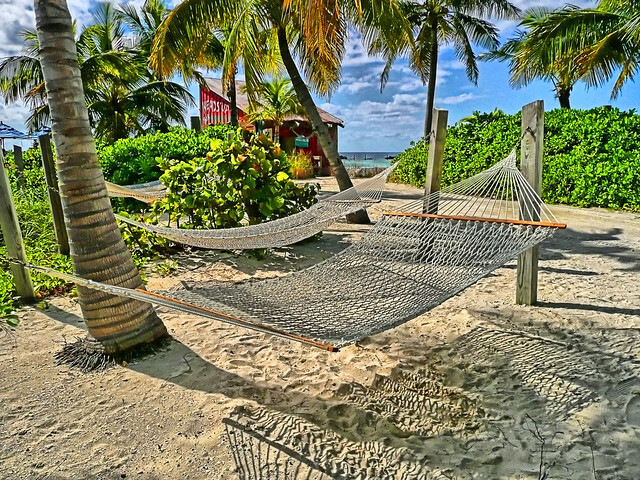 This can save you money on Castaway Cay if you bring your own. Don’t bring Musical Instruments, Metal Detectors, Drones, Candles, or Flammable Liquids. Leave the Fireworks for Disney to handle on Pirate Night. Passengers can’t bring fireworks or pyrotechnics. Thank goodness.